All week I've been carrying around paper eyes with me. I put tape on the back of the eyes and stuck them onto random things I passed by. It immediately gives inanimate objects a personality! 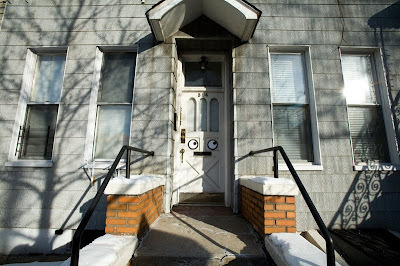 This handsome house has a mustache. It's cute to look at an object and to see it looking back at me! What a great idea! 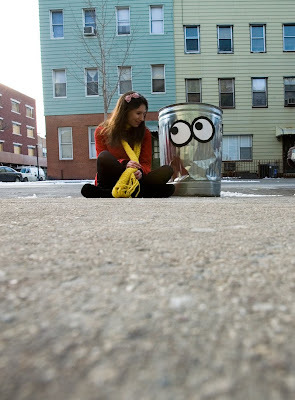 I can't decide which photo I like best, but I think it might be the one with the garbage can. The eyes are placed in such a cute way. ive always wanted to leave cute noted in random places. Ah! I love this. 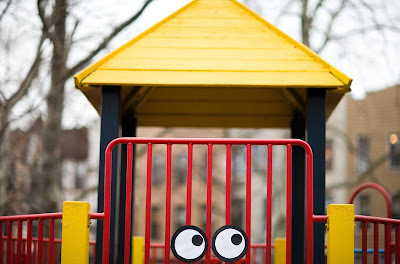 I always seem to find faces in inanimate objects, so this is just wonderful. Crazy cats (sorry Moo, I mean crazy in a good way, of course), handsome houses with mustaches, baby brothers hanging from plants.. you always make me smile, Katie! Thank you! I want me some paper eyeballs!! I love this idea. I wish I would have stumbled upon one. It would have made my day to see. That is one sassy sycamore tree. I'm enriched by your whimsey. You see possibilities. That is so creative! very cool. These are so cute! What a fun idea! my gosh you are so adorable. i feel like if anyone else did half the things you did, they would annoy me to death, but you pull it off, girl! My favs are the tree and the parking meter. The eyes give everything so much life. And I feel like the parking meter would say "I won't tell the meter maid you're running just a little late!" I absolutely adore these pictures... I'll have to take my daughter on a hunt to make silly faces out of ordinary objects! 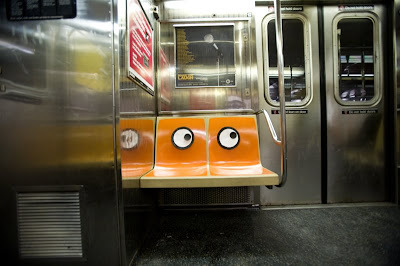 If someone did this in NYC and I had come across the eyes on the subway, it would have brightened a very bad morning!! Too cute! so cute! my little nieces and nephews would be gaga for this! just want to say hello!!! I love the one with the mustache. Seriously, this is the best. HAHAHAHAHAHA This is one of the cutest things I have ever seen! aawwwww, that's awesome. Wish I had thought of that. I just stumbled upon your blog, and I'm glad I did. Your pictures are awesome! Best idea ever. Am doing it as well! I love your blog. Super cute idea with the eyes. This is absolutely adorable. The handsome house looks like he could carry on quite the conversation. You are a funny girl. I think I'll have to follow you. So cute it made me smile! These are wonderful! Thank you for sharing this very whimsical project! It's a good thing you did these after the Bush/Cheney regime had left office -- they would have seen this as an axcellent way to dial up their surveillance appartchik! I loved this idea so much, so I made my own paper eyes. I plan on putting them on objects and taking pictures. I love this idea and your blog! Always puts a smile on my face! Another fabulous post. I too am new to your blog but I've quickly fallen head over heels for your style. I can't wait to see what you get up to next! hey! I found you through Shangri La, I am a guerilla knitter, and love your work.. I'd love to do apost about you on my site as we promore found/geurilla art. nice blog u have here! lots of creative idea, and this one is my favorite! Fantastic. A simple but effective idea. haha!! This totally just made my day!! I want to do this now. FUN! It would be awesome to hear what you think. i'd love to do this at home in ct....i alsways see animals in the big rocks in the woods...i want to spraypaint them...but am afraid it would be graffiti-ish! 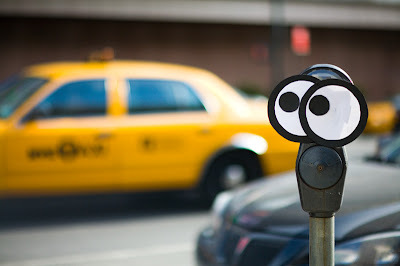 Hey I am a huge fan of googly eyes and made an IPhone app called Googly You. 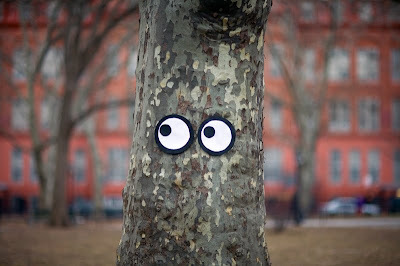 You can add googly eye's to any picture. 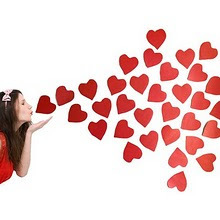 Thought maybe you would like to check it out http://bit.ly/8cYcKw and have fun! Really happy to see all those photos.